Cabin Fervor: Rustic meets industrial in the kitchen. Rustic meets industrial in the kitchen. Over the past two years we've been slowly gathering the pieces for our kitchen. At this point we have almost all of the major items -- most of which were salvaged or bought at auctions/sales at major discounts. 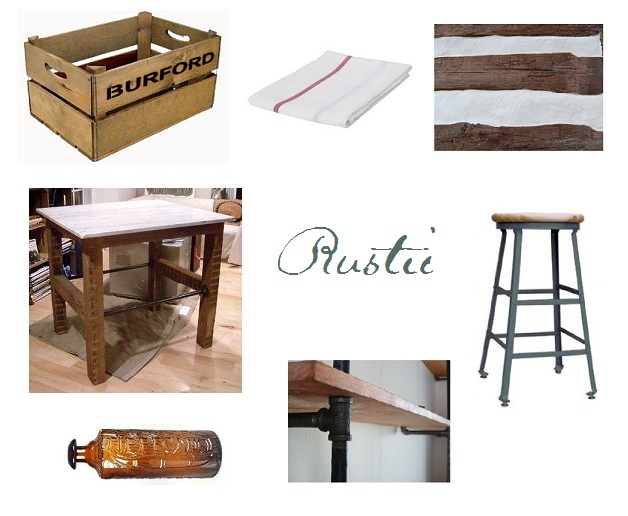 Here's a little breakdown of what we're working with to create our rustic industrial dream kitchen. You can check out the kitchen floor plan here to see how everything will be laid out. Though we're still waiting on a few things to align before we can move ahead with the project, I am getting so excited. It's all coming together nicely in my head, and that's enough to keep me from getting bummed out by the delays. So, now that you can see the various pieces all in once place -- are you feelin it too? Oh, I'm definitely feelin' it. I think this is going to be my dream kitchen! I think it's going to look great! Love those pendant lights! ... Oh, and I like that pipe-as-shelve idea too. I hadn't seen that before. I may do that somewhere in the shop or someplace. Oh, I love it. Your kitchen is going to be amazing. I am obessed with your kitchen design and CANNOT wait until I get to see the final design (as I am sure that you are too). We plan a kitchen remodel in our 1901 house soon and love the mix of rustic and industrial. Thanks for the encouragement guys! Meghan, I'm obsessed with it too! Fantastic Information !! I appreciate your work.Thanks for sharing with us.